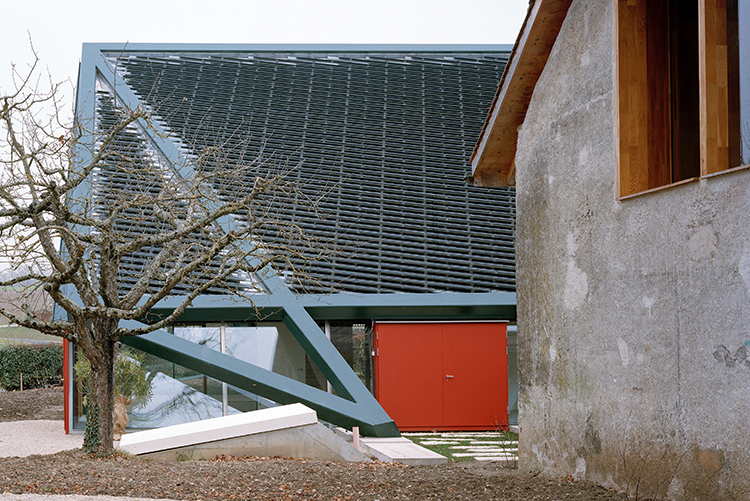 The Chigny house is covered with approximately 1,300 Kromatix™, Brass coloured PV, roof tiles. 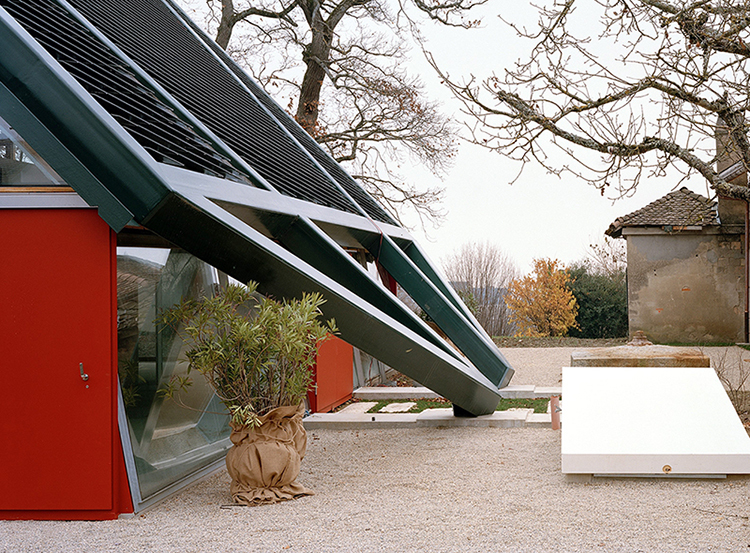 The Chigny house, beautifully designed by architect Dieter Dietz, is located in Chigny, Switserland. 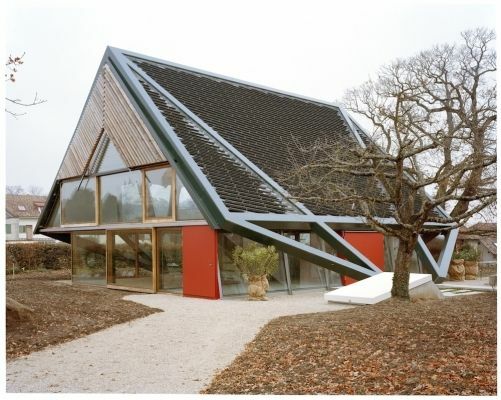 These coloured PV Kromatix™ solar panels are produced in collaboration with Antec.